Home Blogging WHY DOMAIN FROM FREENOM HAVE A POOR QUALITY? WHY DOMAIN FROM FREENOM HAVE A POOR QUALITY? Why Domain from Freenome have a Poor Quality? - Many bloggers are beginners, always want a free domain, but want to get a steady quality, yes obviously cannot, all need capital do not rely free upon on. Then Why Free Domain From Freenom Has Poor Quality? Probably many of you know, that the average free domain of freenom is used to commit fraud, spam etc. 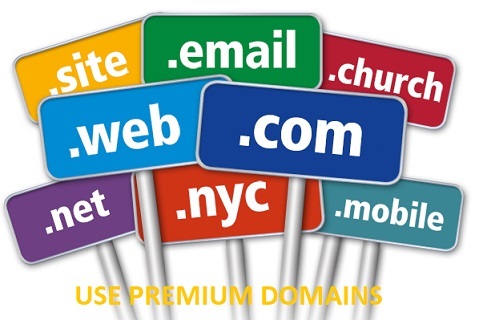 which of course makes free domain reputation from freenom (ga .tk .ml .cf .gq) to a bad domain in the eyes of users, because it has had the impression of domain poor. If you ask, why free domain from freenom hard to enter page one in SERP Indonesia, it is because the domain of freenom is a ccTLD domain, not domain TLD, ccTLD domain is more targeted to get a visitor from 1 country, for example, domain target visitor .id Indonesia. USA target American visitors. Domain .ga target visitors from Gabon country. The .tk target domain of visitors from Tokalu country. Domain .ml target visitors from the country of Mali. Domain .cf target visitors from countries Africa. Domain .gq target visitors from countries Equatorial Guinea. So you can make sure you are very difficult to enter page one in Google Indonesia, maybe you think can change the target country, to be appropriate, it certainly can not anymore because Google has updated ccTLD algorithm, so ccTLD domain tailored to the target country from his domain. If you use a free domain from freenom you should be more careful, because the freenom could suddenly disable its domains for no apparent reason. If you want to scold the freenom party for turning off its domain for no apparent reason, I think that's useless, because the domain you get is free, different if possible pay.